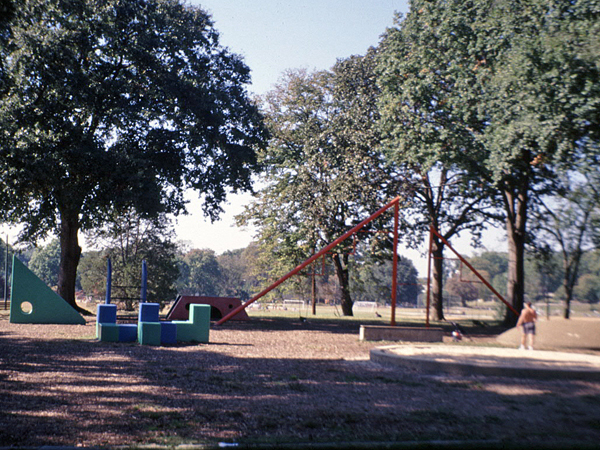 The only playground design realized by the Japanese-American sculptor Isamu Noguchi within his lifetime, Playscapes is located in the Olmsted-designed Piedmont Park, Atlanta’s largest park. It was a Bicentennial gift to the city by the High Museum of Art. 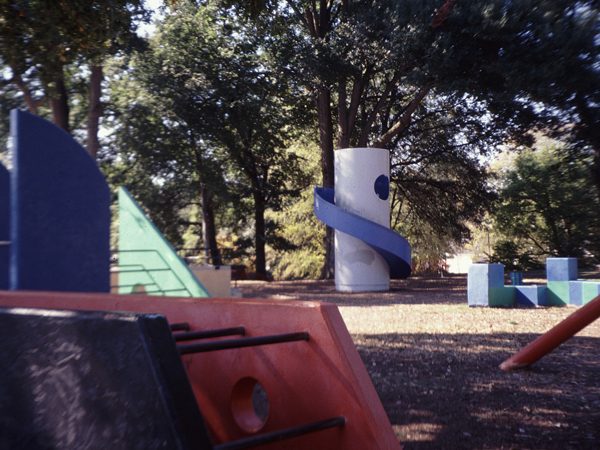 Playscapes and subsequent play environments were heavily influenced by Noguchi’s unfilled 1933 vision for Play Mountain, a block-long sculptural landscape in New York City with steps of all sizes and slides for summer water-play and winter sledding. Channeling the spirit of Play Mountain, Playscapes was designed by Noguchi as an environment for exploration and imagination rather than regimented and prescribed play. 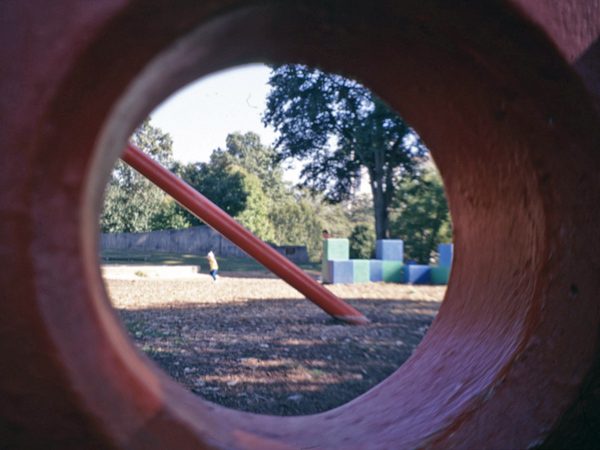 Moreover, traditional play equipment was reconsidered and offered as sculpture, blurring the distinction between landscape and object and making sculpture a useful part of ordinary life, akin to his cataloguing of local landscapes at his California Scenario plaza in Costa Mesa. 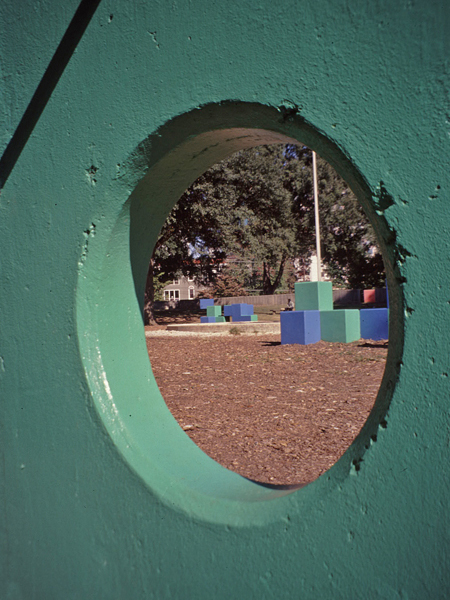 Though Noguchi’s original design for Playscapes included a shelter, classroom with office and dark room facilities, and summer art education programs, today’s existing playground fosters an arts appreciation among children through organic landforms and various boldly-colored play equipment, including a spiral tower, several jungle gyms, play cubes, a circular sand pit, and other geometric structures containing integrated slides and swings. 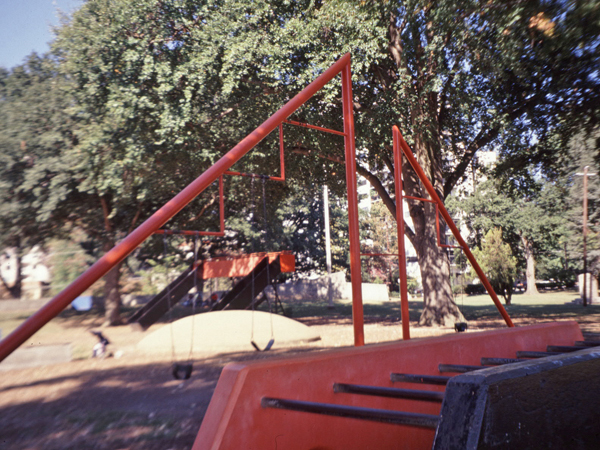 The playground was rehabilitated by Piedmont Park Conservancy, the Noguchi Foundation and the Atlanta Department of Parks and Recreation in 1996.